Read all of Bird Dogs, Scent and Finding Birds by Bob St. Pierre now. I’m a big fan of Pointers — surprise, right? But I do like some of breeds, especially English Setters who point handle their birds like this. Here’s something I’ve always wanted to try. From what I’v read, this is how folks hunt quail on a lot of the plantations down south. This video just shows a great looking Pointer doing what these dogs do so well. Running birds can really frazzle some bird dogs. But not this one. Caladen’s DaVinci handles this can’t-stay-still covey of quail like a real pro — not bad for a long hair. It’s nice to see a handler that lets the dog work, too. There’s no screaming of commands, just confidence and total faith in his four-legged partner. Back when I first got into Pointers, Beaver Meadow Benjamin was THE hot dog on the New England field trial circuit. Even though an injury put an early end to Benny’s trial career, he went on to sire a bunch of winners. Born in 2001, Benny passed away a couple weeks ago. You can read more about Beaver Meadow Benjamin here on the Region 1 Field Trial Club site and in this string on the Cover Dog Field Trial Board. Has anyone ever seen pointers like this in the US? The ones in this video are fantastic looking dogs. Maybe I’m seeing things, but they look a bit different from most EPs I’ve seen over here – leggier, deeper in the chests, and with blockier, squarer heads. Their points are lot different, too. They do get the job done, though. Ok. So this video isn’t the greatest. But if you would like to an Irish Setter who can really hunt, it’s worth watching. Check out how she moves and covers her ground. Very impressive, and she sure looks pretty on point at the end. Craig Koshyk is the author of one of my favorite dog books: Pointing Dogs, Volume One: The Continental. He’s also a talented photographer, and, of course, a passionate upland hunter. His photo essay Prairie Dogs: Under the Broomhill Sky takes a look at the people, horses, and dogs that make the Broomhill Field Trials so special. The pictures are beautiful, so click through and give yourself a treat. I used to read the magazine Sporting Classics regularly, but in the past few years I’ve stopped. Judging by the quality of these two stories, perhaps I should pick it up again. Both these stories are quick reads and, if you love bird dogs, well worth your time. Now here are a some POINTS! I like a dog that points, and when it points I want it to look proud, confident and sure. Take a look at these pointers to see what I mean. These are POINTS! — the kind of dog work that’s thrilling to look at and shoot over. Nice point. But in Finland, they train their dogs to do more. Most of us train our pointers to find game and then point it until we arrive to flush and shoot the birds. But in Finland, some pointing dogs are trained to something even cooler: They’re trained to point Capercaillie, and then on command return to their human companions and guide their two-legged friends back to the bird. 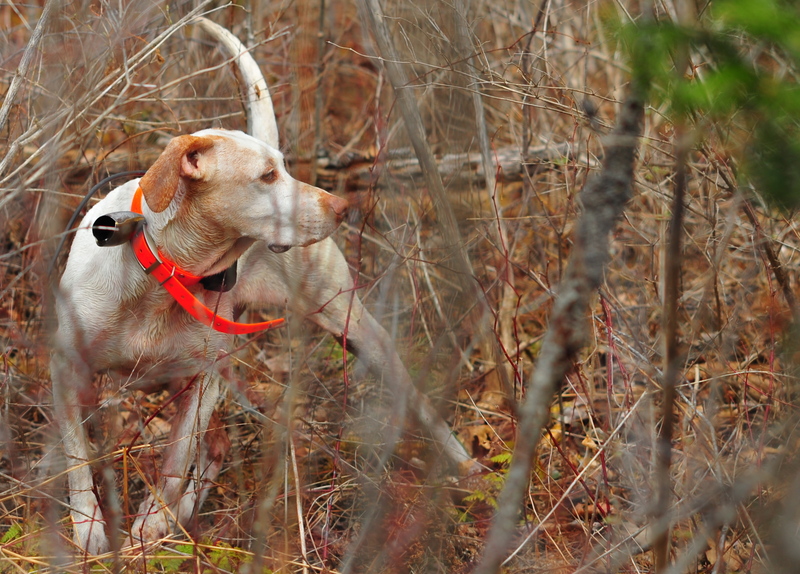 Learn the how’s and why’s of them doing it by checking out this post from Craig Koshyk’s Pointing Dog Blog. And be sure to check out the videos. The last one is amazing. “In the gundog world, the term ‘versatile’ is pretty versatile. In the UK, France, Italy and other European countries, it means a dog that hunts, points and retrieves. In North America, according to NAVHDA, it means a dog that hunts, points, retrieves and tracks on land and water. In Germany and countries to the east, it means a dog that hunts, points, tracks, drives, bays, flushes, kills vermin and protects the house and home. Read the entire piece now. Discover more about “reporting” and see a great video that shows how Finnish hunters this technique to their advantage. BTW: be sure to check out Craig’s book Pointing Dogs, Volume One: The Continentals, the most thorough and authoritative work available on the history of continental Europe’s pointing breeds. If you love hunting dogs, it’s a book you must have. Praising your pup: Is there a “best” way? Praise isn’t something you can do wrong – or at least that’s what I thought. But one afternoon at Woodcock Haven Kennels, ace pointing dog trainer Al Ladd used a very personal demo to show me the right way to say “good boy”. In her piece Praise, Martha Greenlee points out the same thing and explains why calm praise is the better way to go. “Praise is one type of reward you use to train a dog. Food treats, tossing a ball and an excited voice are examples of other types of rewards. Trainers who compete in dogs sports such as obedience, agility and tracking use a variety of rewards to let the dog know he did what the trainer asked. However, training a pointing dog is different. These dogs are bred with a strong desire to find birds, so finding birds is already a powerful reward, and it gets them excited. I ran across this video last night and it made me smile. Those are some fierce looking pups! I wonder who has to clean up all those dogs (or pay the kennel bill)? Eyes or nose –which one is your pup relying on? Eyes or Nose–which one is your pup using? Do you have those moments when you realize you’re the A-hole? It happens to me (too often? ), and after I read Martha Greenlee’s the latest post at Steady with Style, it happened to me again. I’ve made the mistake she outlines below many times. Seeing a gundog hammer a point is one of the most thrilling parts of a day in the field. 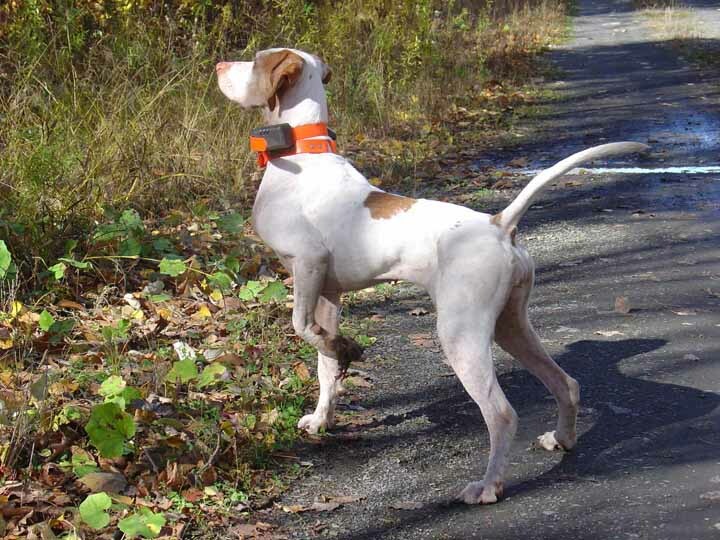 Watch this young English Pointer bang! onto point to see what I mean. Watch how the trainer styles him up, too. Point! Now what do you do? Over the last 12 years Craig Koshyk has been on a mad pursuit. You should thank him. Koshyk has dedicated thousands of hours and even more $$$$ to create a beautiful new book titled Pointing Dogs, Volume One: The Continentals. You’re probably thinking breed book, great (eyes rolling, fight back a yawn). But please understand this: Pointing Dogs is much, much more than that. While it is filled with original research on 52+ breeds, Pointing Dogs book is as much about Koshyk’s passion for these dogs as it is about their ancestry, coat colors, and hunting styles. This passion is what makes the book such a great read. Starting tomorrow, I’m going to feature a bit about each breed in the book: one dog a week, 52 weeks. To get the full story behind these dogs, purchase a copy Pointing Dogs, Volume One: The Continentals for yourself. BTW: I want to ask you for a favor: Spread the word about this book. Email your buddies. Talk it up. Give it as a gift and buy multiple copies for yourself. This will help Koshyk complete his next book — Pointing, Dogs Volume Two: The British Pointing Dogs.